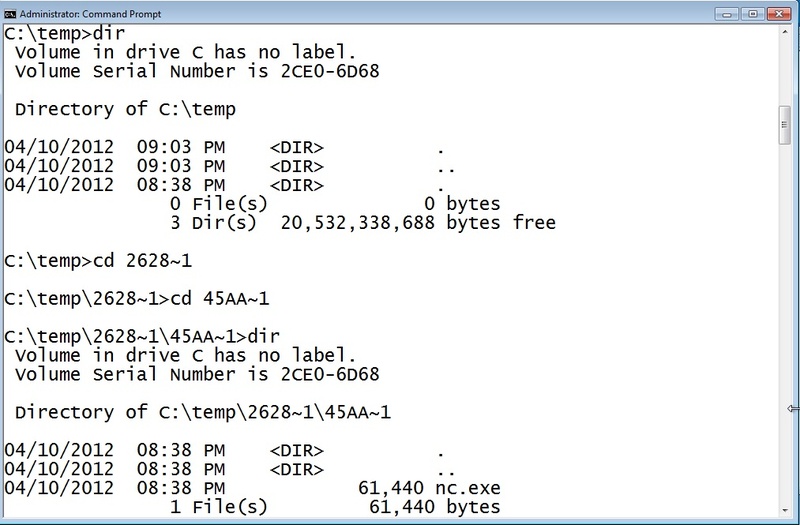 Challenge: What can you do with funky directory names? Interesting. Now try this. 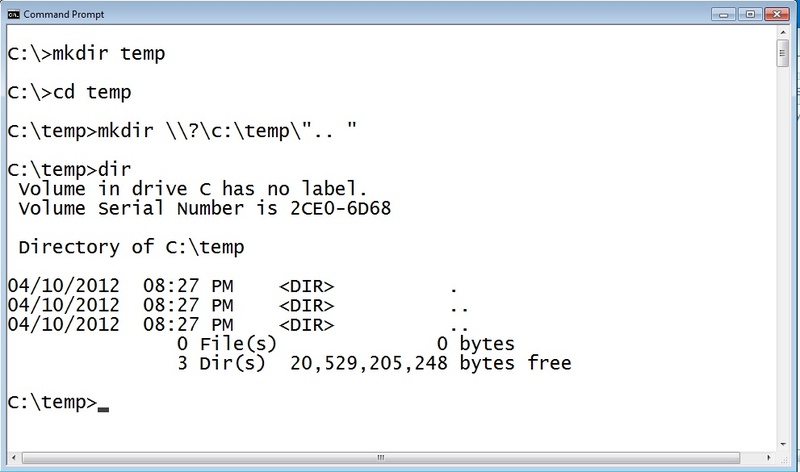 Open your command prompt and change directories to the path "c:\temp\2628~1\45AA~1\" and do a directory listing. This strange directory name has been consistent in my limited testing. Is it the same for you? 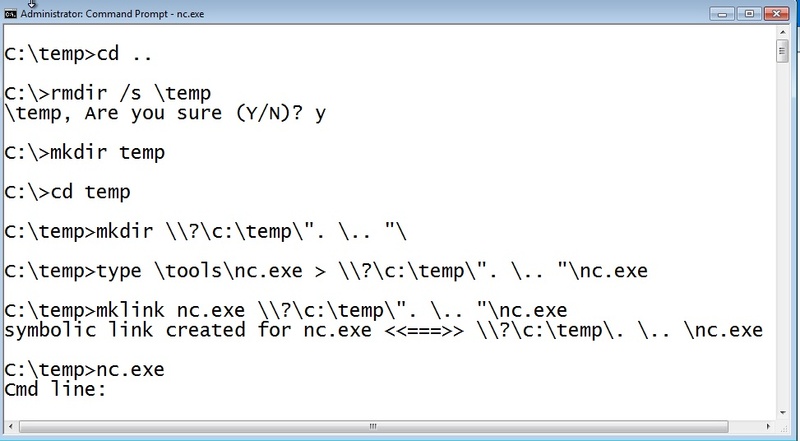 There is your copy of nc.exe! What the heck is that? Your mission, should you choose to accept it, is to tell me what you can do with this. What causes this behavior? Post a comment!